The Maya civilization was one of the most dominant indigenous societies of Mesoamerica (a term used to describe Mexico and Central America before the 16th century Spanish conquest). Unlike other scattered indigenous populations of Mesoamerica, the Maya were centered in one geographical block covering all of the Yucatan Peninsula and modern-day Guatemala; Belize and parts of the Mexican states of Tabasco and Chiapas; and the western part of Honduras and El Salvador. This concentration showed that the Maya remained relatively secure from invasion by other Mesoamerican peoples. Did you know? Among the earliest Maya a single language existed, but by the Preclassic Period a great linguistic diversity developed among the various Maya peoples. In modern-day Mexico and Central America, around 5 million people speak some 70 Maya languages; most of them are bilingual in Spanish. Within that expanse, the Maya lived in three separate sub-areas with distinct environmental and cultural differences: the northern Maya lowlands on the Yucatan Peninsula; the southern lowlands in the Peten district of northern Guatemala and adjacent portions of Mexico, Belize and western Honduras; and the southern Maya highlands, in the mountainous region of southern Guatemala. 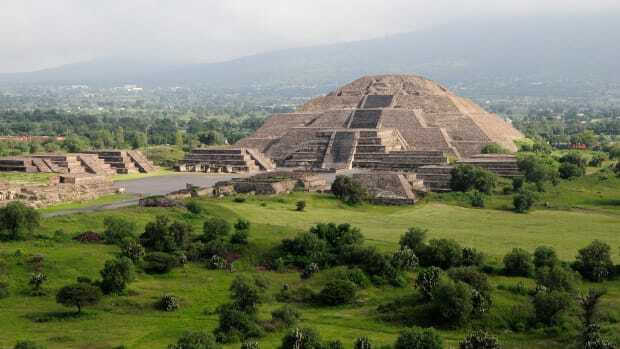 Most famously, the Maya of the southern lowland region reached their peak during the Classic Period of Maya civilization (A.D. 250 to 900), and built the great stone cities and monuments that have fascinated explorers and scholars of the region. The earliest Maya settlements date to around 1800 B.C., or the beginning of what is called the Preclassic or Formative Period. The earliest Maya were agricultural, growing crops such as corn (maize), beans, squash and cassava (manioc). During the Middle Preclassic Period, which lasted until about 300 B.C., Maya farmers began to expand their presence both in the highland and lowland regions. The Middle Preclassic Period also saw the rise of the first major Mesoamerican civilization, the Olmecs. 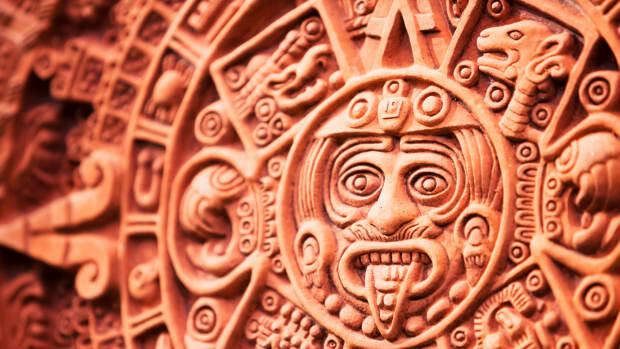 Like other Mesamerican peoples, such as the Zapotec, Totonac, Teotihuacán and Aztec, the Maya derived a number of religious and cultural traits–as well as their number system and their famous calendar–from the Olmec. 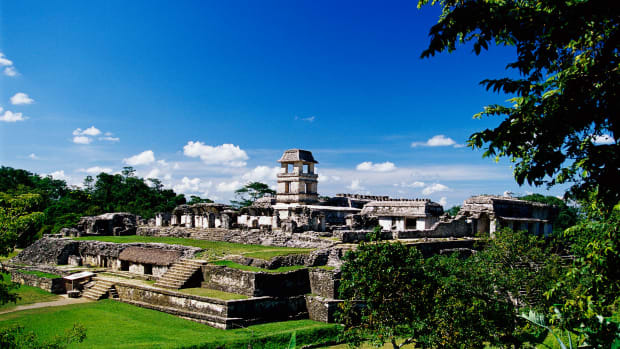 Excavations of Maya sites have unearthed plazas, palaces, temples and pyramids, as well as courts for playing the ball games that were ritually and politically significant to Maya culture. Maya cities were surrounded and supported by a large population of farmers. 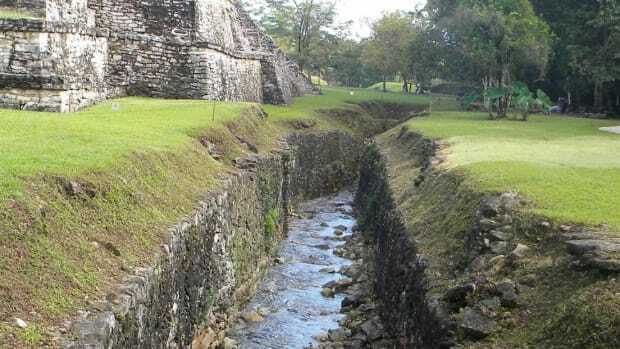 Though the Maya practiced a primitive type of “slash-and-burn” agriculture, they also displayed evidence of more advanced farming methods, such as irrigation and terracing. The Maya were deeply religious, and worshiped various gods related to nature, including the gods of the sun, the moon, rain and corn. At the top of Maya society were the kings, or “kuhul ajaw” (holy lords), who claimed to be related to gods and followed a hereditary succession. They were thought to serve as mediators between the gods and people on earth, and performed the elaborate religious ceremonies and rituals so important to the Maya culture. The Classic Maya built many of their temples and palaces in a stepped pyramid shape, decorating them with elaborate reliefs and inscriptions. These structures have earned the Maya their reputation as the great artists of Mesoamerica. 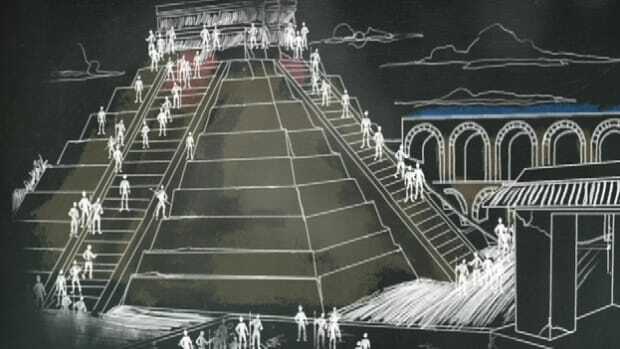 Guided by their religious ritual, the Maya also made significant advances in mathematics and astronomy, including the use of the zero and the development of a complex calendar system based on 365 days. Though early researchers concluded that the Maya were a peaceful society of priests and scribes, later evidence–including a thorough examination of the artwork and inscriptions on their temple walls–showed the less peaceful side of Maya culture, including the war between rival Mayan city-states and the importance of torture and human sacrifice to their religious ritual. 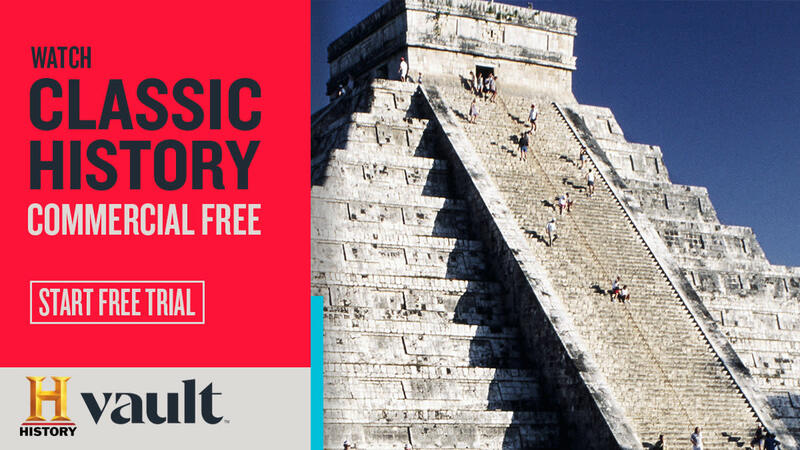 Serious exploration of Classic Maya sites began in the 1830s. By the early to mid-20th century, a small portion of their system of hieroglyph writing had been deciphered, and more about their history and culture became known. 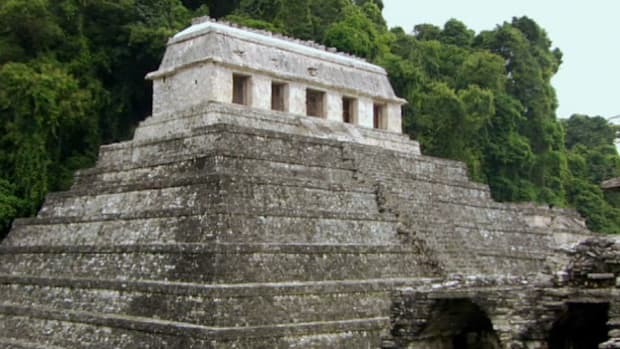 Most of what historians know about the Maya comes from what remains of their architecture and art, including stone carvings and inscriptions on their buildings and monuments. The Maya also made paper from tree bark and wrote in books made from this paper, known as codices; four of these codices are known to have survived. Some believe that by the ninth century the Maya had exhausted the environment around them to the point that it could no longer sustain a very large population. Other Maya scholars argue that constant warfare among competing city-states led the complicated military, family (by marriage) and trade alliances between them to break down, along with the traditional system of dynastic power. As the stature of the holy lords diminished, their complex traditions of rituals and ceremonies dissolved into chaos. 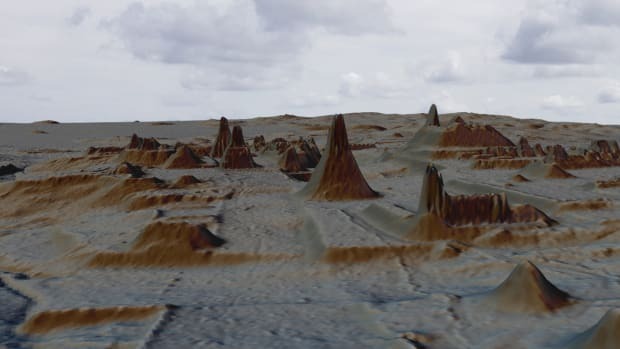 Finally, some catastrophic environmental change–like an extremely long, intense period of drought–may have wiped out the Classic Maya civilization. 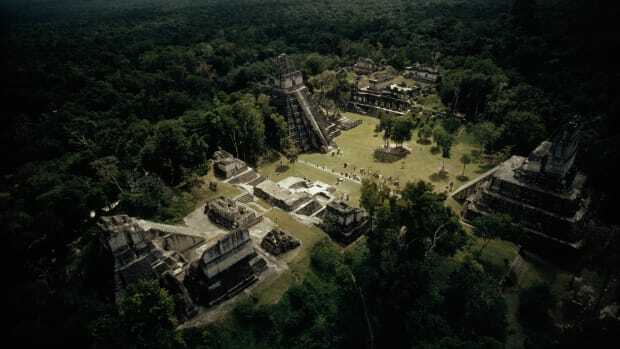 Drought would have hit cities like Tikal–where rainwater was necessary for drinking as well as for crop irrigation–especially hard. 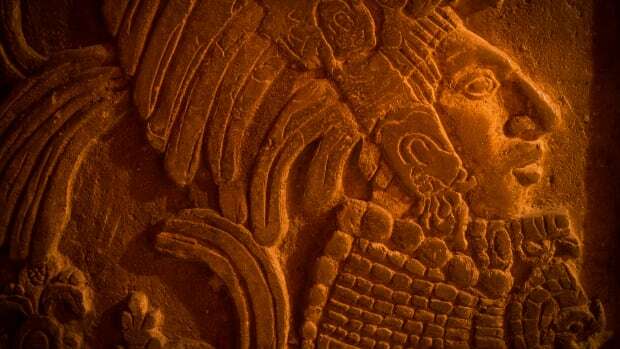 All three of these factors–overpopulation and overuse of the land, endemic warfare and drought–may have played a part in the downfall of the Maya in the southern lowlands. 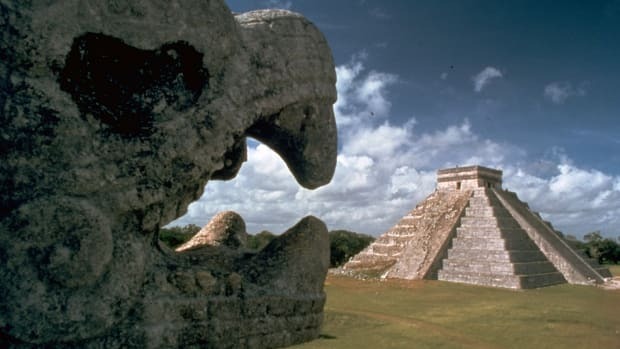 In the highlands of the Yucatan, a few Maya cities–such as Chichén Itzá, Uxmal and Mayapán–continued to flourish in the Post-Classic Period (A.D. 900-1500). 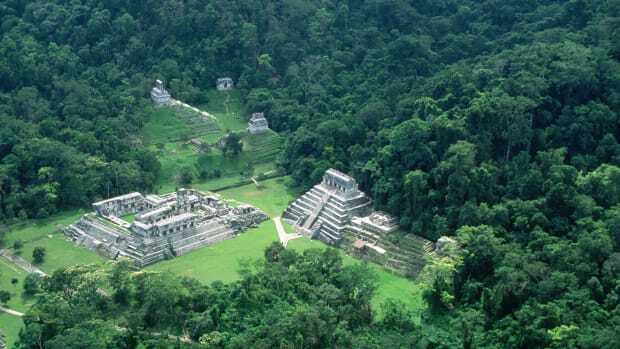 By the time the Spanish invaders arrived, however, most Maya were living in agricultural villages, their great cities buried under a layer of rainforest green.